The Baldwin Hills Reservoir was constructed in 1951 to provide water to the south and southwest portions of the city of Los Angeles, California. 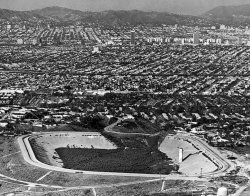 Sitting atop one of the tallest hills in the region, the reservoir was confined on three sides by compacted earth dikes and the Baldwin Hills Dam on the northern fourth side. 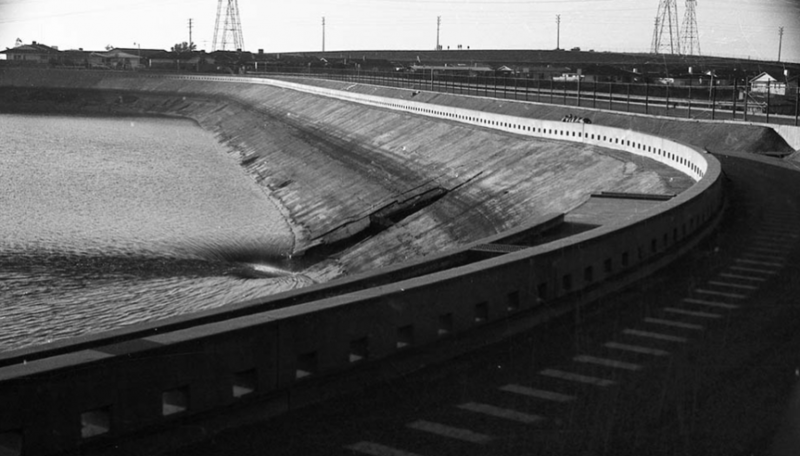 The Baldwin Hills Dam reached a height of 232 feet and stretched a total of 650 feet in length. 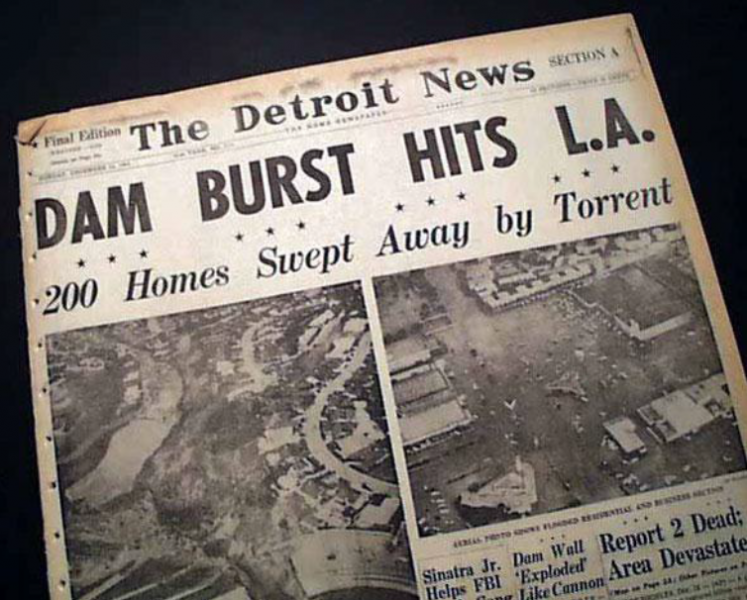 At 3:38 P.M. on December 14, 1963, the Baldwin Hills Dam breached releasing a majority of the reservoir’s 250 million gallons of stored water. The sudden release resulted in the death of five people and approximately $11 million in property damage. Engineers involved with the design of the Baldwin Hills Reservoir and Dam recognized the difficulties associated with the land on which they planned to build the structure. At the location of the dam and reservoir, the immediate subsurface is comprised of loose, sandy soil followed by large block-like rock formations. In an effort to prevent water inside the reservoir from contacting the soft, erodible soil beneath it, the reservoir was equipped with a complex underdrain system. 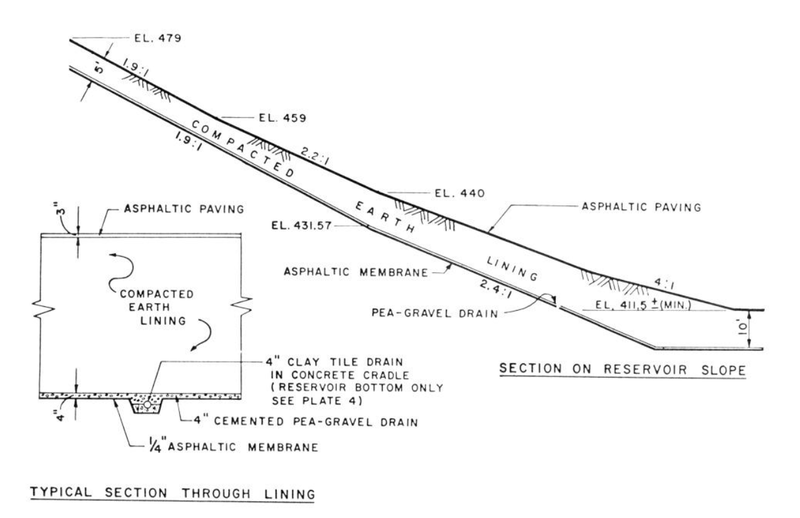 A typical section of the drainage system between the water in the reservoir and the dam embankment is shown in the figure on this page. 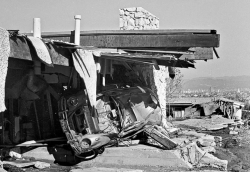 In addition to understanding the foundation’s geology, the reservoir’s designers acknowledged the Inglewood Fault system that underlays the Baldwin Hills area. 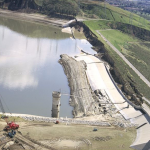 They assumed, however, that any movement or subsidence that occurred at the site of the dam as a result of the fault system would not be large enough to compromise the integrity of the brittle liner. Typical section of Baldwin Hills Reservoir lining. 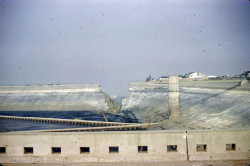 Around 11:15 A.M. on December 14, 1963, during a routine daily inspection, the reservoir’s caretaker noticed that water had begun draining from the pipes beneath the asphalt membrane liner. Concerned by the unusual circumstance, the caretaker and the operating engineer engaged the outlet works designed to lower the reservoir in emergency situations. Because the reservoir would take approximately 24 hours to drain safely and completely, the Los Angeles Department of Water and Power (LADWP) asked that police execute an evacuation downstream. 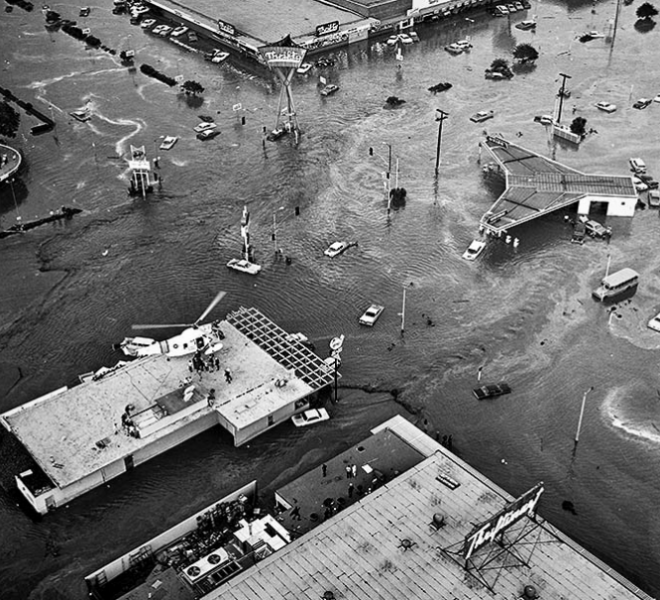 Within four hours of the initial signs of danger, approximately 1,600 downstream residents had been evacuated from their homes. In the meantime, LADWP personnel worked furiously to clear debris from the emergency discharge pipes and stop the interior face of the dam from eroding. Despite their efforts, a section of the Baldwin Hills Dam collapsed at 3:38 P.M. unleashing a wave of destruction on the town below. Less than an hour and a half later, water had stopped flowing from the opening in the dam leaving the Baldwin Hills Reservoir nearly empty. 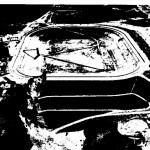 Only after the reservoir was drained was it revealed that the asphalt liner between the embankment and reservoir’s contents had cracked allowing water to penetrate and erode the soil beneath it. 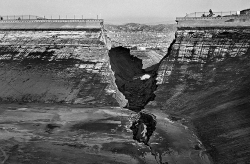 There was much speculation of the primary cause(s) of the crack during the investigation of the Baldwin Hills Dam failure. 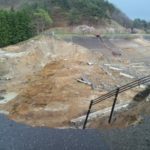 The crack could have been caused by the movement of the schist below the dam, a combination of that natural phenomenon and the injection of pressurized liquid into the oil field near the dam, or the heavy equipment used during construction. 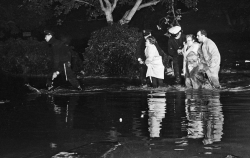 Though the Baldwin Hills Reservoir and Dam failed, the emergency action implemented by the caretaker, operating engineer, LADWP, and evacuation personnel was a great success. Routine maintenance of the dam led to the early discovery of the deficiency. 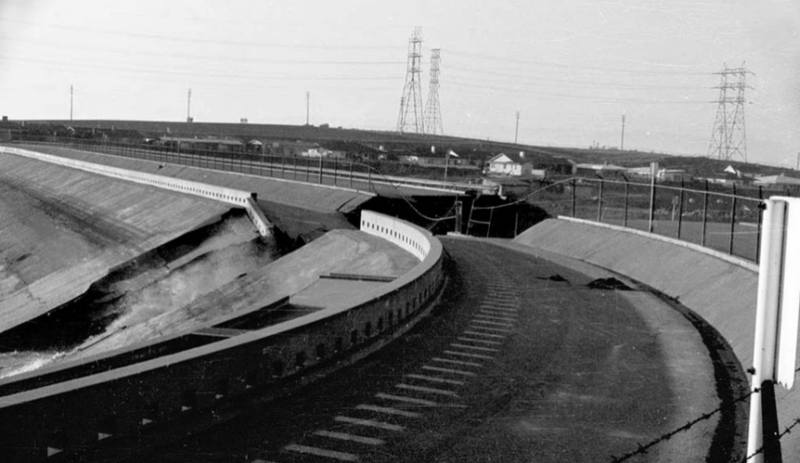 While the failure of the dam resulted in the death of five individuals, the early detection and subsequent evacuation lowered the resulting death toll from potentially as high as 1,500. (1) Barnes, M. (1992). Famous Failures: Revisiting Major Dam Catastrophes. ASDSO Annual Conference. 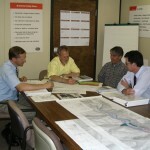 Baltimore: Association of State Dam Safety Officials. (2) Hamilton, D. & Meehan, R. (1971, 172). Ground Rupture in the Baldwin Hills. SCIENCE, 333-344. (3) Jansen, R. (1988). 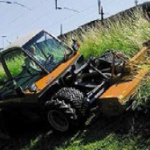 Advanced Dam Engineering for Design, Construction, and Rehabilitation. New York: Wiley, 8-16. (4) VandenBerge, D., Duncan, J., & Brandon, T. (2011). 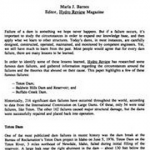 Lessons Learned From Dam Failures. Virginia Polytechnic Institute and State University. 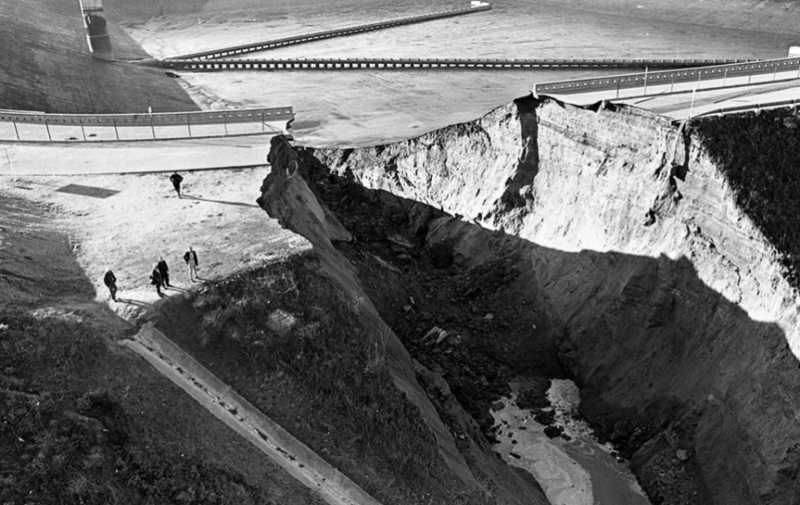 Rupture in Baldwin Hills Reservoir prior to full breach (Photo source: L.A. Times, December 14, 1963). 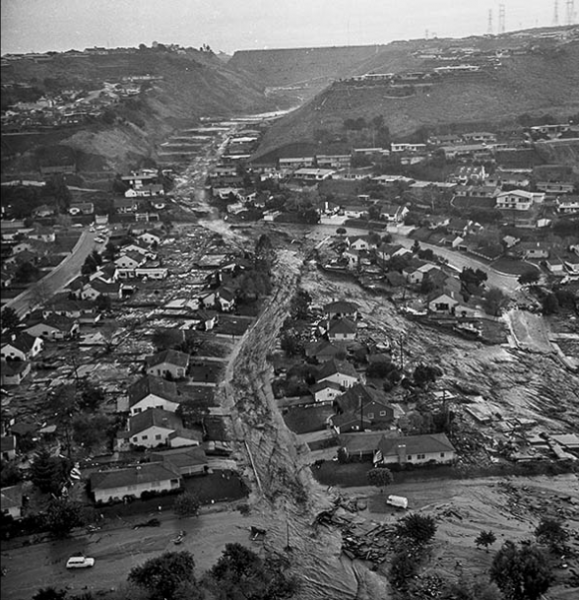 Water flowing through complete breach of Baldwin Hills Dam embankment (Photo source: L.A. Times, December 14, 1963). Water gushes downstream from Baldwin Hills Reservoir just after failure (Photo source: L.A. Times, December 14, 1963). 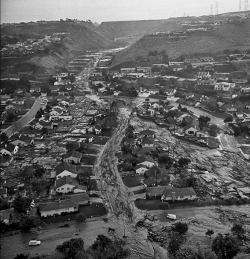 Aerial view of downstream flooding caused by the breach of Baldwin Hills Dam (Photo source: L.A. Times, December 14, 1963). Aerial view showing rescue attempts by helicopter (Photo source: L.A. Times, December 14, 1963). 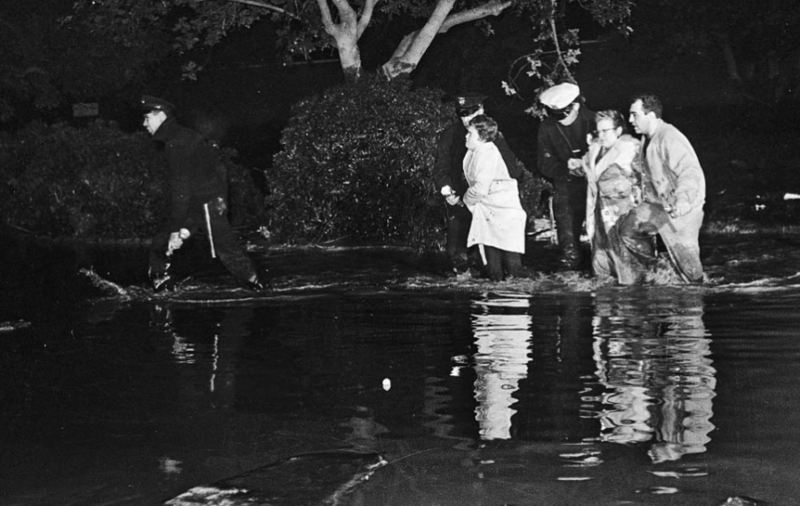 Police and emergency personnel downstream of Baldwin Hills Dam lead residents to safety (Photo source: L.A. Times, December 14, 1963). 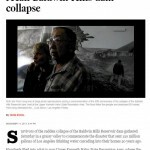 News of the Los Angeles Baldwin Hills Dam rupture spreads around the country. 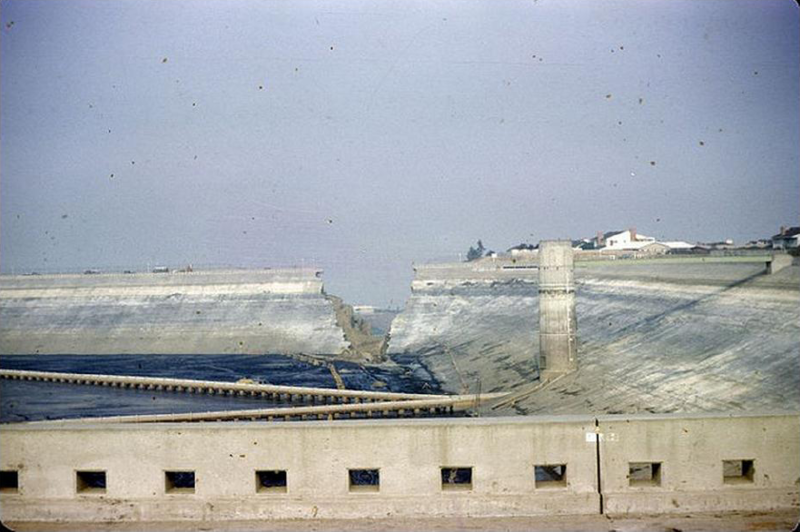 Photograph depicting aftermath of the Baldwin Hills Dam collapse (Photo source: L.A. Times, December 15,1963). 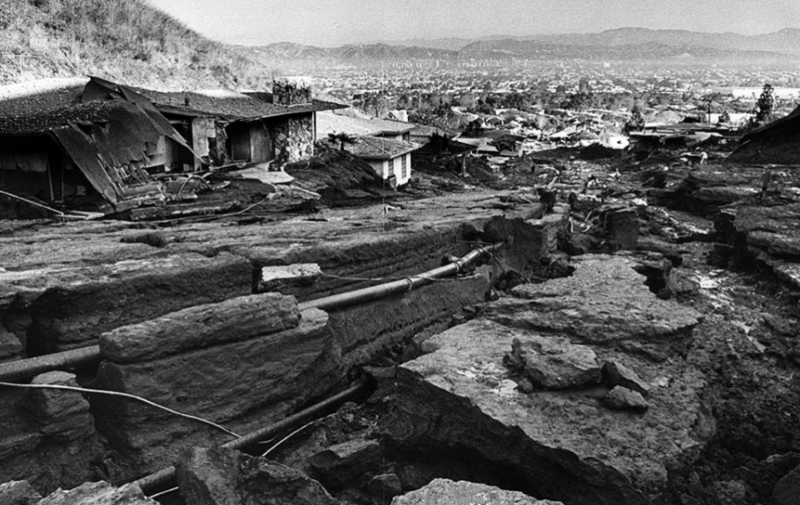 Remains of roadways and structures just downstream of the Baldwin Hills Dam after its failure (Photo source: L.A. Times, December 15, 1963). View of breach from inside of Baldwin Hills Reservoir. Aerial view from just downstream of the Baldwin Hills Reservoir following failure. 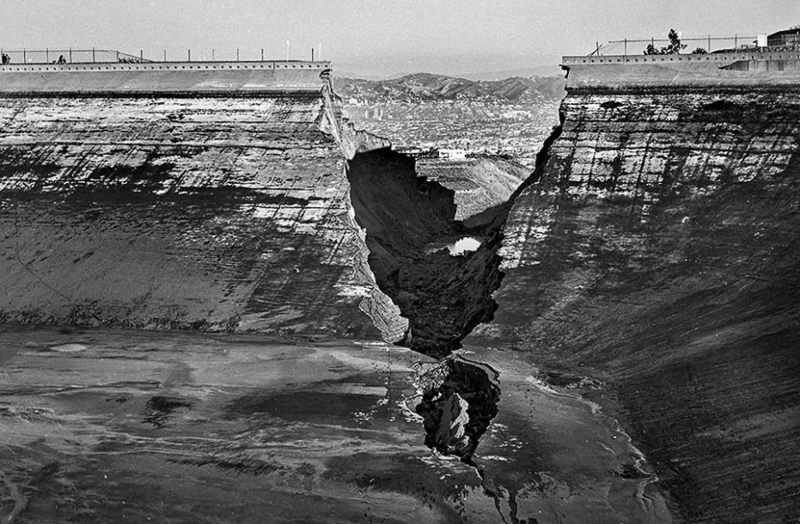 View from inside the reservoir of breach in Baldwin Hills Dam (Photo source: L.A. Times, December 15, 1963). Aerial view of breach section of Baldwin Hills Dam after failure (Photo source: L.A. Times, December 14, 1963). 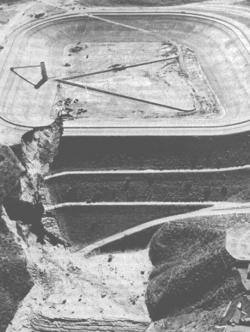 Aerial view of the remains of Baldwin Hills Reservoir and Dam approximately seven years after failure (Photo source: L.A. Times, December 3, 1970). Clip from the History Channel’s series Engineering Disasters which contains a description of Baldwin Hills Dam design, its flaws, aerial video of its failure, and witness accounts of the disaster. 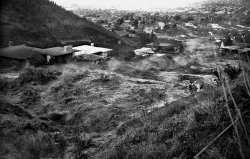 KTLA footage from December 16, 1963 depicting the Baldwin Hills Dam failure and aftermath. 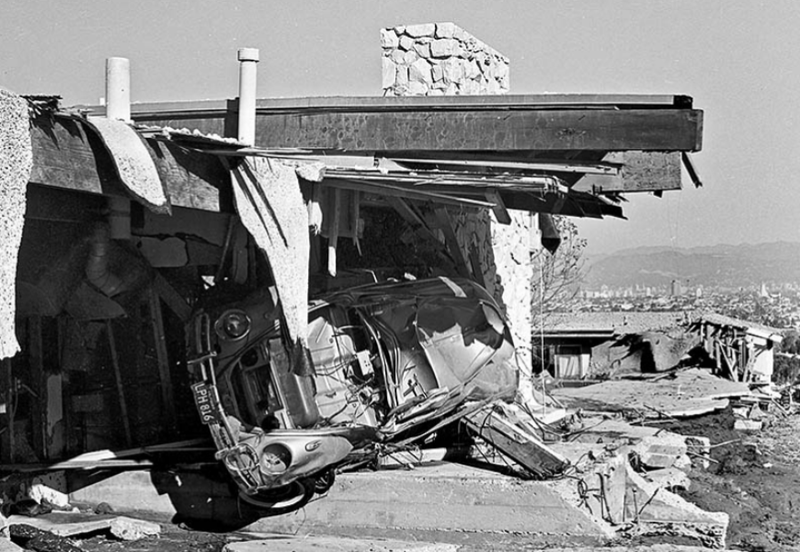 Citizens of the Baldwin Hills community share their memories of the Baldwin Hills Dam disaster and flood fifty years after its occurrence. Jansen, R. (1988). Advanced Dam Engineering for Design, Construction, and Rehabilitation. New York: Wiley, 8-16.